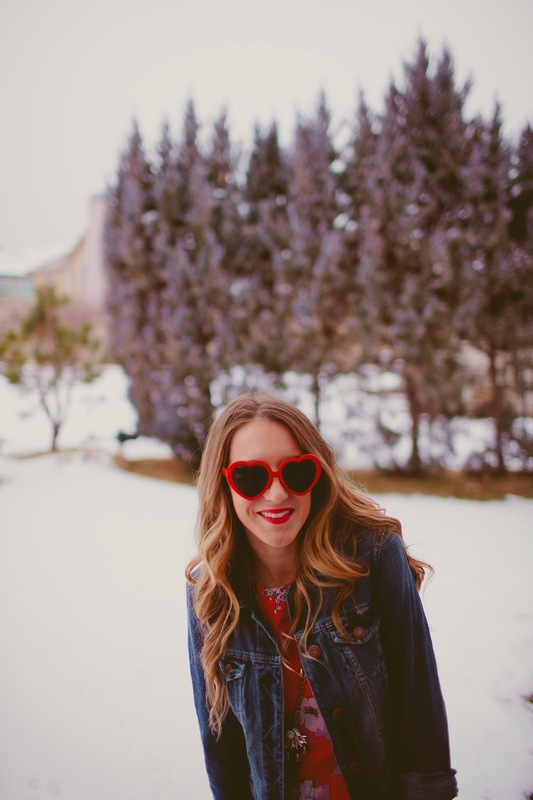 Heart Sunnies + A Giveaway! I am definitely in full on Valentines mode if you haven’t already been able to tell. 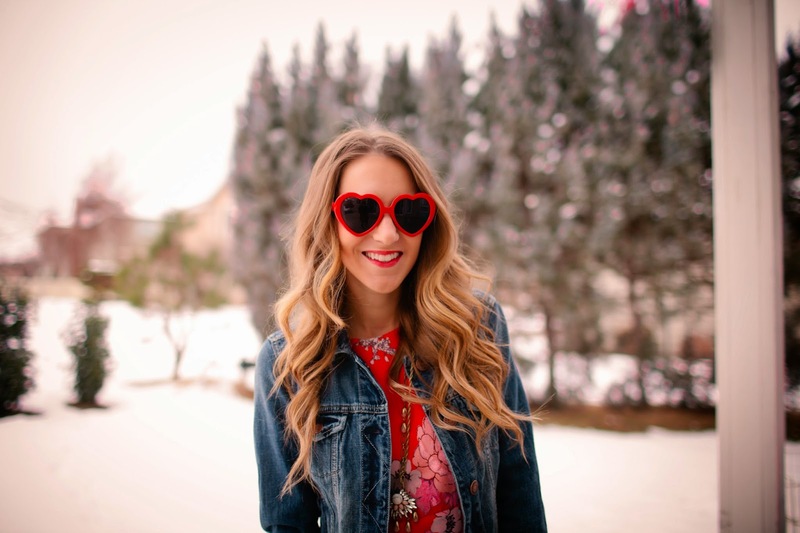 Love is in the air and I’m dying to pair these heart sunnies with everything in my wardrobe! 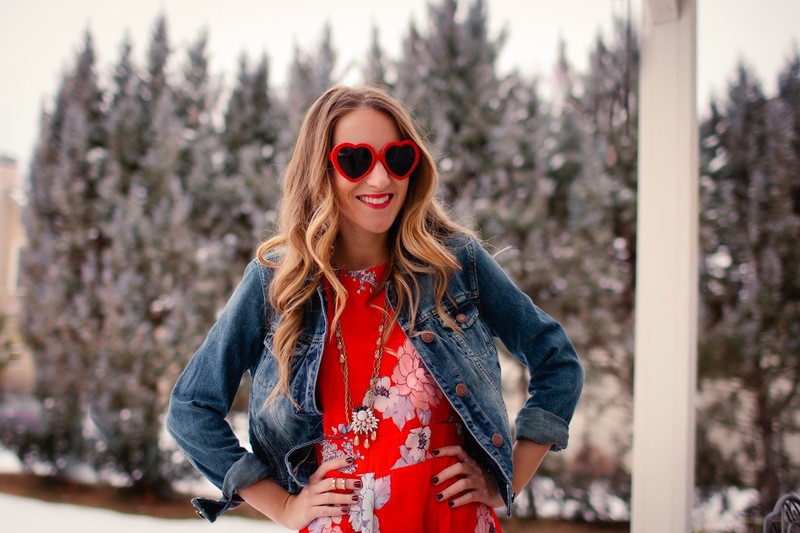 For this Valentine’s Inspired look, I paired this incredibly gorgeous WalG floral dress with a denim jacket for a more laid back look. 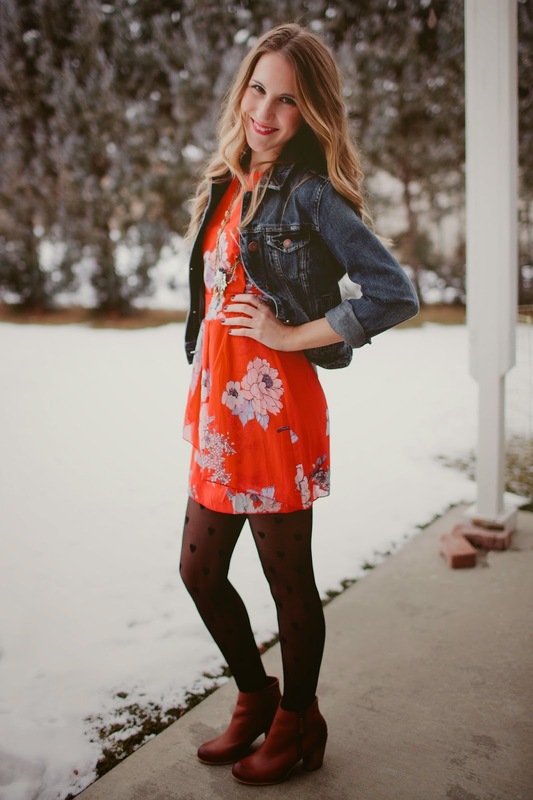 The color of this dress is incredible, and I’m so excited to take it into spring and summer! 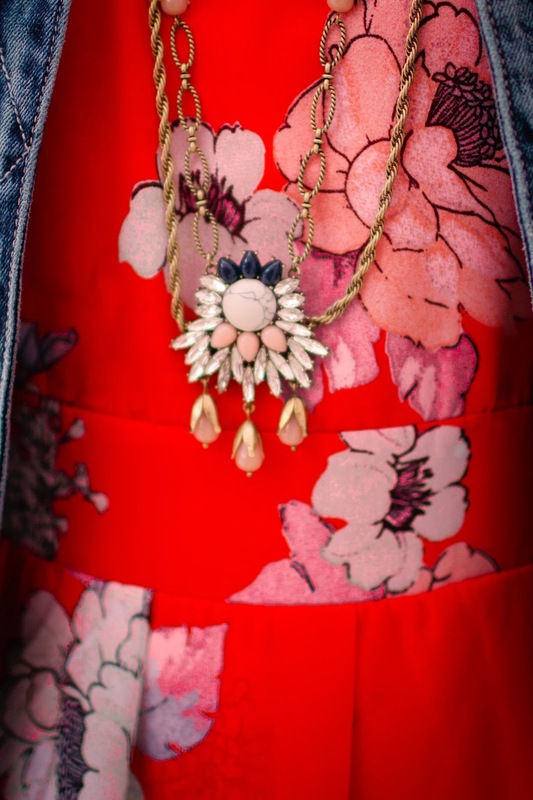 I love the darling ruffle on the front and the super chic floral pattern is a print with pop. Wanting to mix it up even more, I decided to add these fun heart printed tights for even more Valentine appeal. 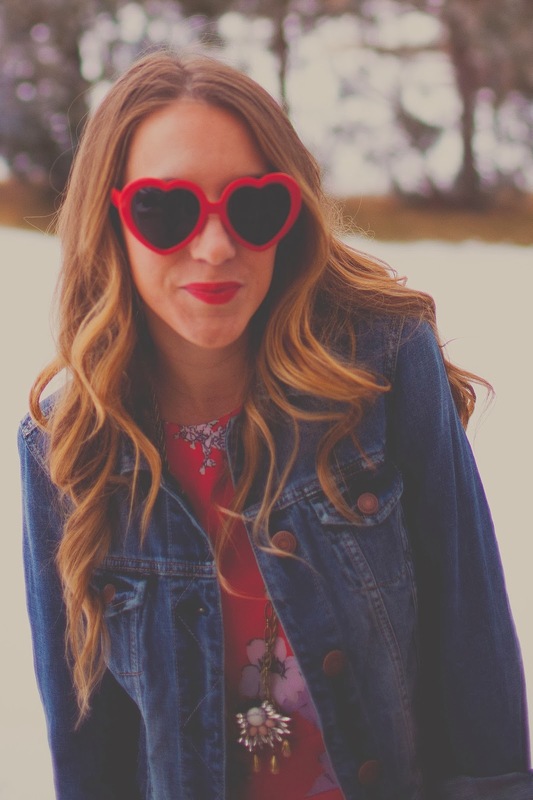 With a stunning necklace, booties and heart sunnies I’m ready for whatever adventure my Valentine has planned……hint hint! 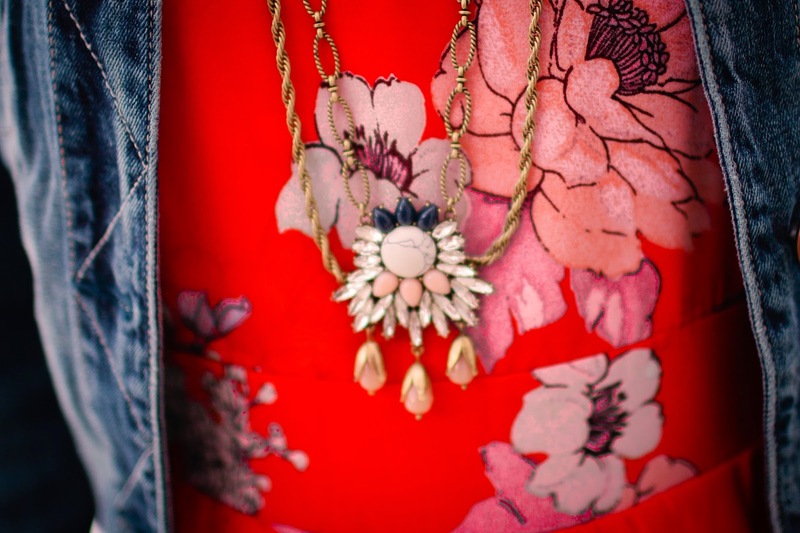 When Lesley contacted me about working with her and Chloe + Isabel, I was beyond excited. I have heard a lot about Chloe + Isabel jewelry, but have never purchased any. Since receiving this gorgeous necklace, I have become a huge fan! The Morningtide Long Pendant Necklace is a romantic work of art…seriously. It’s dainty and beautiful and the perfect unique piece to my collection! Each piece of Chloe + Isabel jewelry is hand-designed in their NYC studio, hypo-allergenic, nickel free and lead safe, lifetime replacements and pieces starting as low as $18! The style of their jewelry is inspired by a “Provence meets Paris” take on French country chic. Each piece is so romantic and gorgeous and I have definitely become a lifetime fan! The only problem…what piece to buy next?! 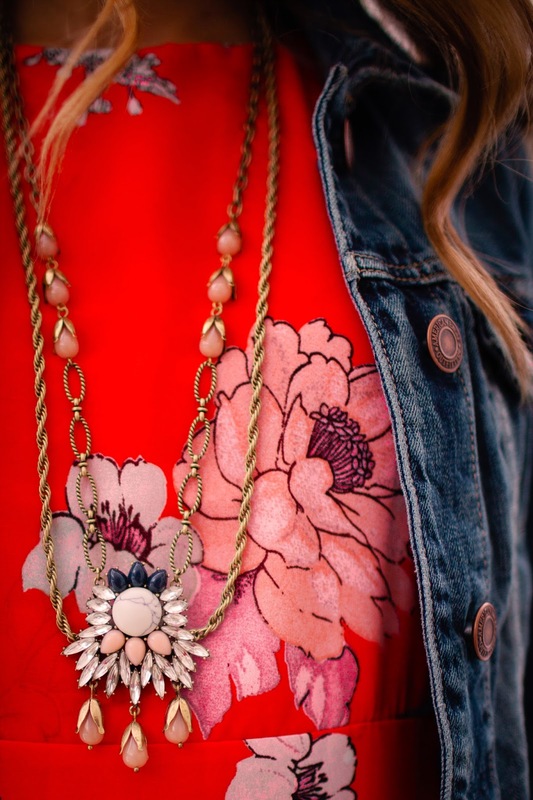 The wonderful Lesley is giving away one piece of Chloe + Isabel jewelry from her boutique to a lucky reader! Follow the Rafflecopter below for a chance to win! Giveaway ends 2/21. =Good Luck!! That dress is so pretty, love a denim jacket over a dress too! so so cute! especially love those tights! such a sweet outfit! loving this. And the sun glasses are also great!